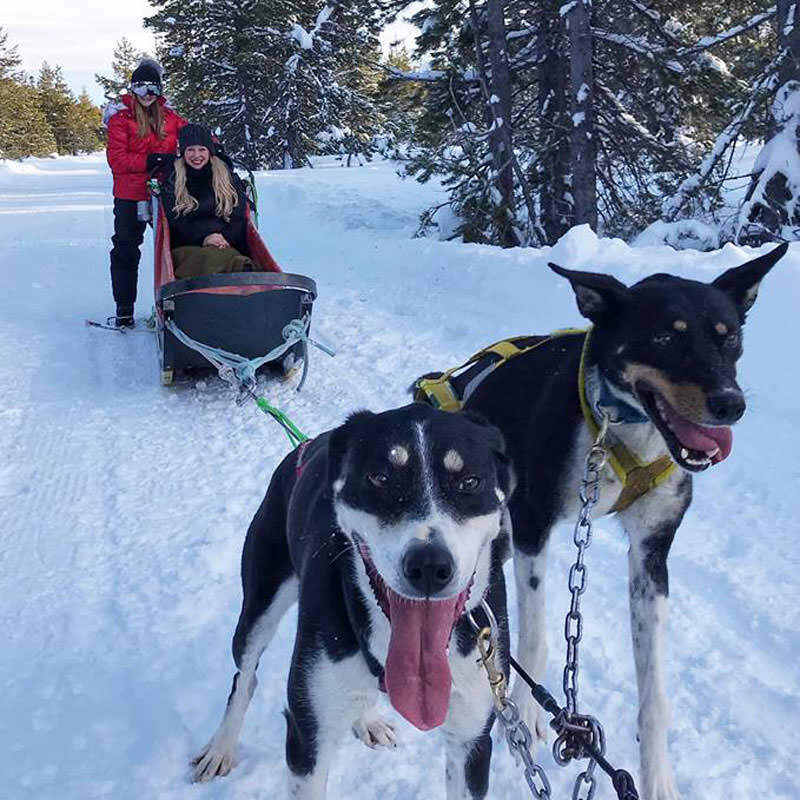 My family had the privilege of experiencing a bucket-list adventure with Oregon Trail of Dreams dog-sledding on a recent getaway to Mt. Bachelor. It was an awe-inspiring winter adventure that we will always remember. When we arrived at Mt. 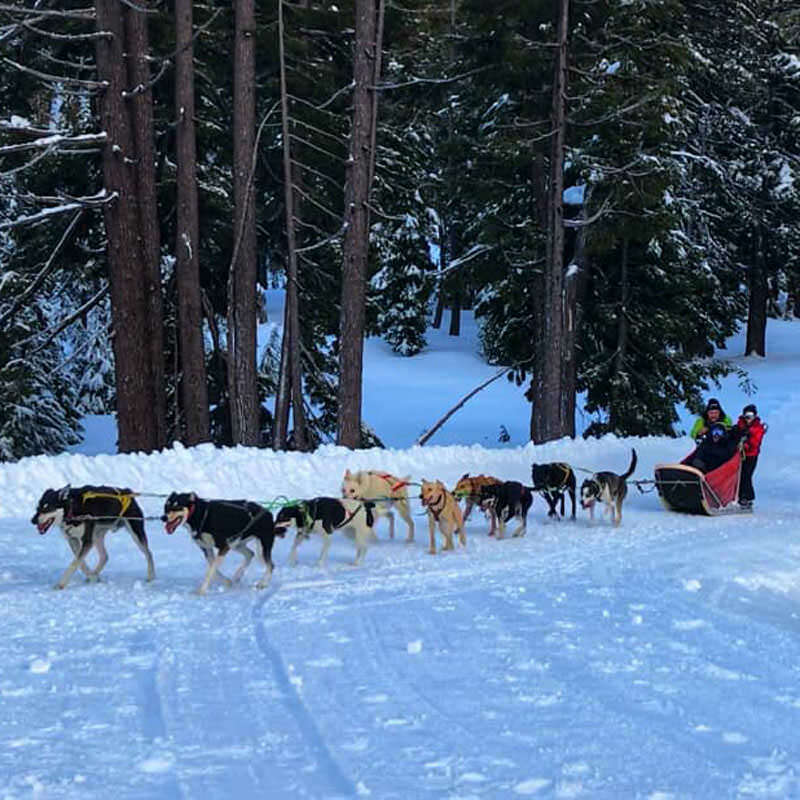 Bachelor’s Sunrise Lodge, we were greeted by more than 40 Alaskan huskies and a team of expert mushers, including Rachael Scdoris, owner of Oregon Trail of Dreams. 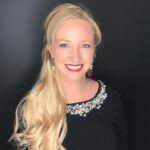 Rachael is a world-renowned athlete and four-time competitor in the Iditarod. 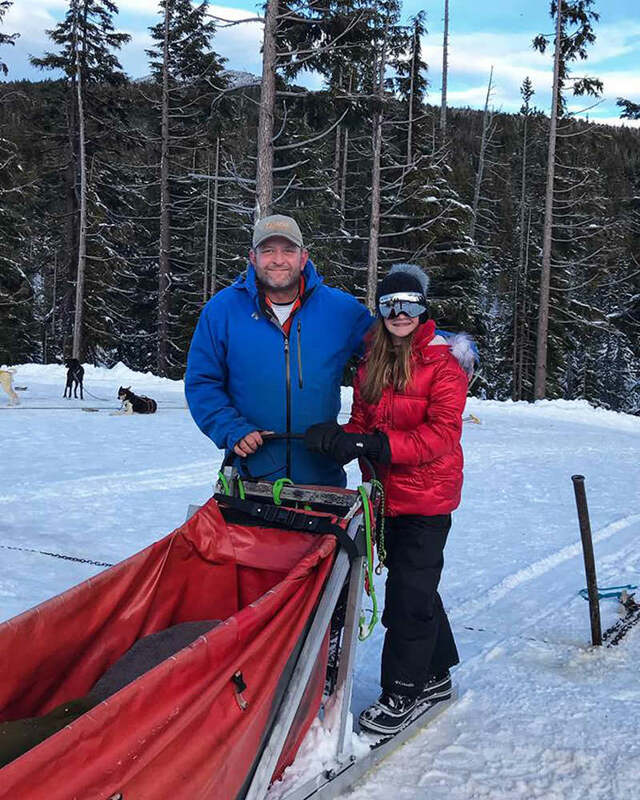 Not only is Rachael the youngest athlete to ever complete the 938-mile sled dog race across Alaska’s rugged terrain, but she is also legally blind and has been since birth. We raced through pristine trails that are only accessible to the Oregon Trail of Dreams..
Tours are about an hour long, including orientation and trail time. The views of snow-covered Broken Top, the Three Sisters and Mt. Bachelor were spectacular as the alpine glow of the setting sun painted the sky shades of pink and purple. 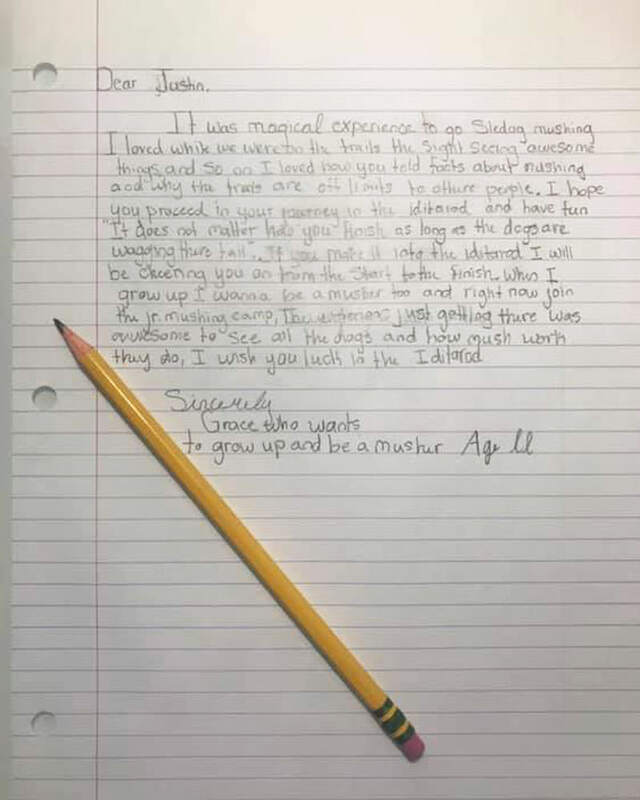 This experience left such a profound impact on our oldest daughter, Grace, she asked if she could write a letter to Justin, our mushing guide, thanking him for taking her on her first sled dog adventure at Mt. Bachelor. I love how she recalled his exact words when talking about competing in this amazing sport. It was clear that our musher, Justin, truly loves what he does. This experience left such a profound impact on our family. If you’re ready to embark on a bucket-list winter adventure that will exceed your expectations, be sure to book early. Trips often sell out during peak season. 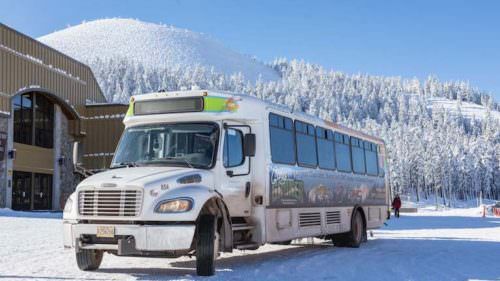 The one-hour twilight tour is perfect for a quick trip to the mountain. 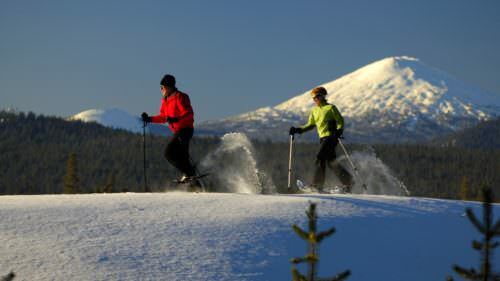 If you want the ultimate experience, I’d recommend the 26-mile round-trip marathon run to Elk Lake Lodge, which includes a catered lunch.